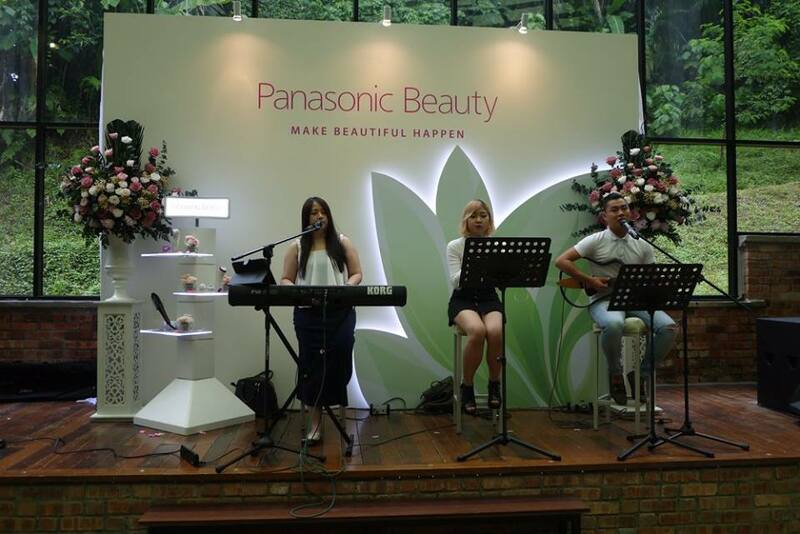 Make Beautiful Happen is Panasonic Beauty’s theme since 2015. With the aim at promoting beauty in a bigger picture as beauty encompasses every aspects of one’s life and not looks alone. 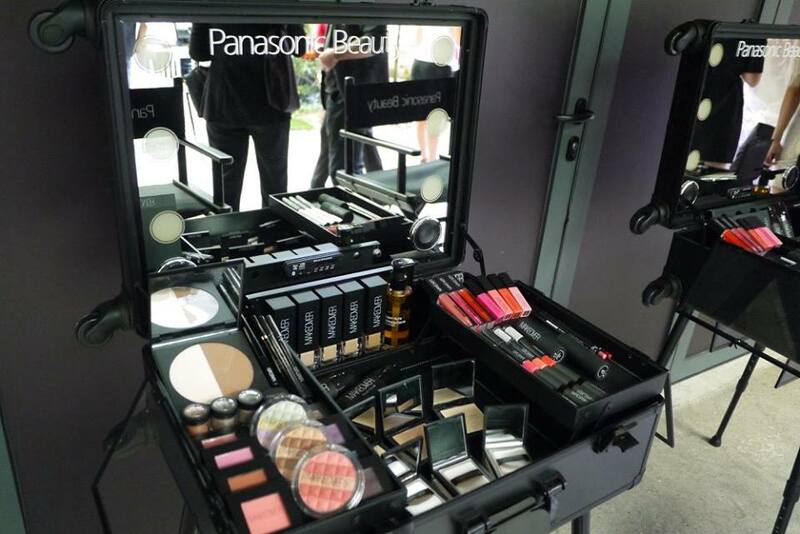 Panasonic Beauty is equipping Malaysian women with knowledge and tips on how to look good. 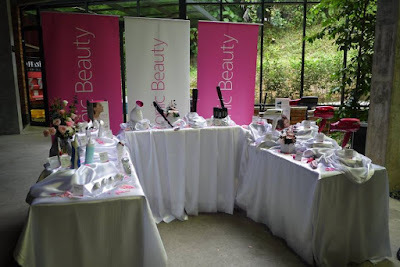 They believe that the first step of making beautiful happen is to create a beautiful environment by spreading the joy of making oneself beautiful. Panasonic Beauty has launched three new beauty products recently. 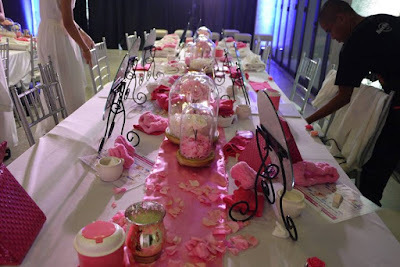 Held at Glass House Seputeh, the launch event venue was beautifully decorated into sweet and pinkish atmosphere. The event began with a welcome address by Mr. Cheng Chee Chung, Managing Director of Panasonic Malaysia. 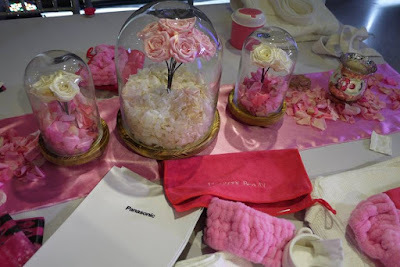 And then, we were invited to the exclusive product demonstration and hands on sessions in the beautiful pinkish room, where we were surrounded by pretty LavieFlo preserved flowers. Panasonic Malaysia has revealed their latest beauty products and shared the cool devices with us during the event. 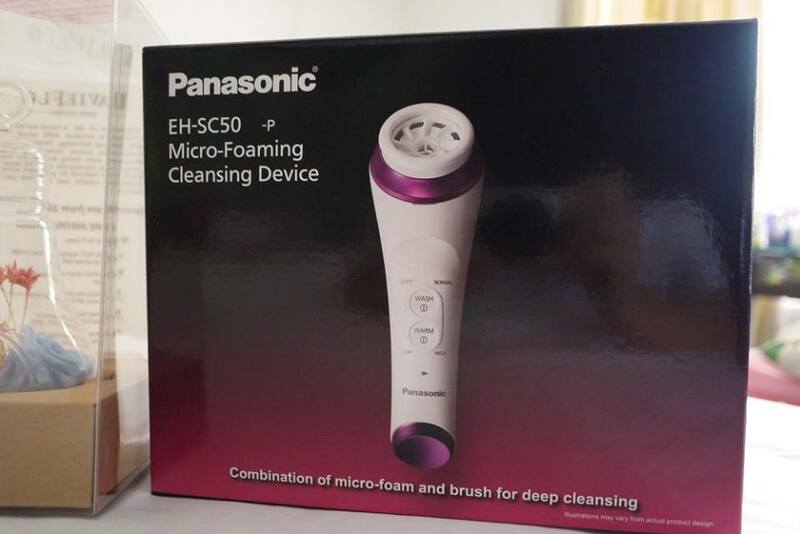 We tried out the Micro foaming cleansing device following the guide from the expert on the spot. 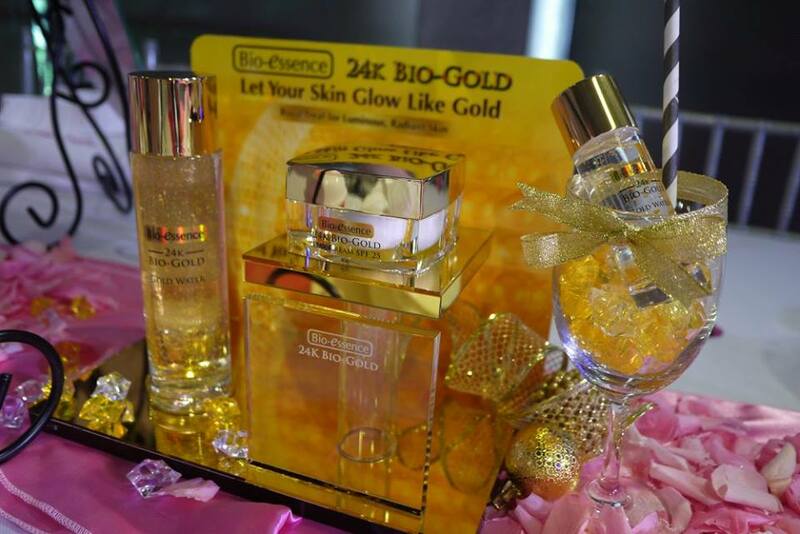 It was also my first time trying the famous Bio-essence 24k Bio-Gold Skin Awakening Cleanser, 24k Bio-Gold Water and 24k Bio-Gold Cream. I love the skincare range as it contains real 24k gold flakes which are luxurious and greatly effective at enhancing the skin's metabolism rate and stimulating cell renewal. I am intrigued with Bio-essence 24k Bio-Gold range since then. After the hands on experience, we proceeded back to the main event hall to have some light refreshments while being entertained with lovely live performance. We could also enjoy a Makeover by Makeover Paris and Number76 Hair Salon at the makeover stations. This is a new two-way solution for smooth and radiant skin. 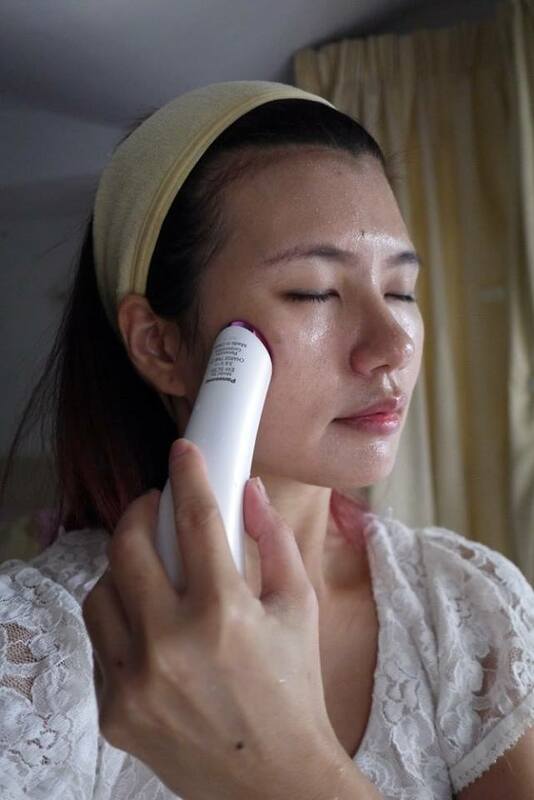 It has a makeup removal warming head to remove makeup with gel or cream based make-up remover. 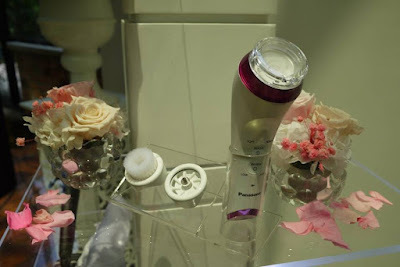 It also has a brush and foam cleansing option as well as a foam cleansing option to perform second wash. 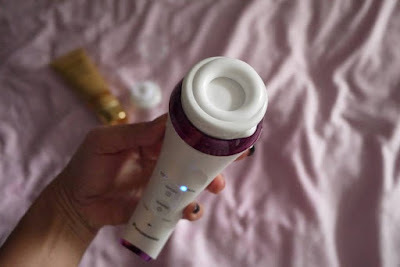 I normally use this device in my evening facial routine by smoothing on a cleansing gel or cleansing cream, and glided the warm plate over my skin to help dissolve makeup for about 3 minutes. There are 2 temperature modes to choose from: High at approximately 48° Celsius and low at approximately 43° Celsius. I love the higher temperature as it is very comfortable and relaxing. 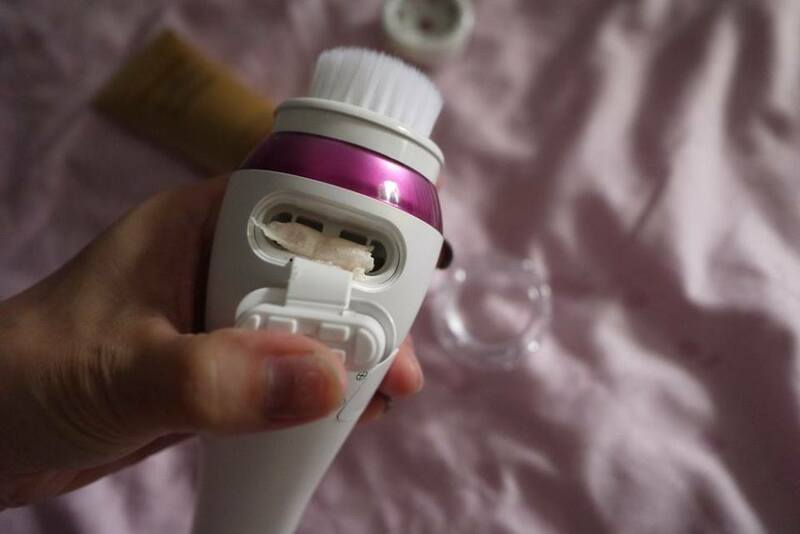 Then I rinse my skin with warm water and continue with washing with the device for 1 minute. 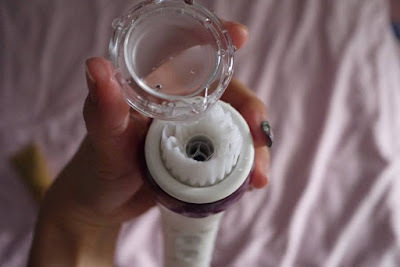 I first squeeze the foaming face wash into the compartment above the handle plus a capful of water (the measuring cap is come in the package, which measure around 4ml) created tons of lather in seconds! The airy foam like whipped cream is formed something hands can never match. There are 2 cleansing mode to choose from; normal or soft. I like the cleansing brush as it has 2 types of soft tapered bristles: long with tapered tips bristles that direct contact with the skin and short with non-tapered tips bristles for optimal brush resilience. I use it to wash my forehead, cheek, chin and neck area. The fine, dense and gentle brush is gentle on my skin. I then switched to the silicone brush head for extra exfoliation around my nose and chin. Click to view the foaming process, it creates fine airy foam in seconds. 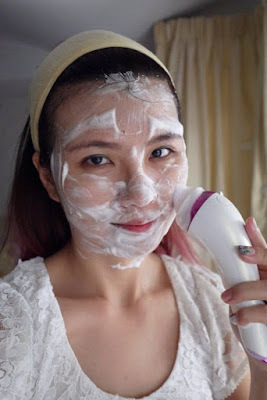 With this device, my skin is completely clean and my pores are also purified. The best part is it’s incredibly pampering and refreshing without any over wash nor tight sensation. It is great for everyone especially a person with big and open pores like me. 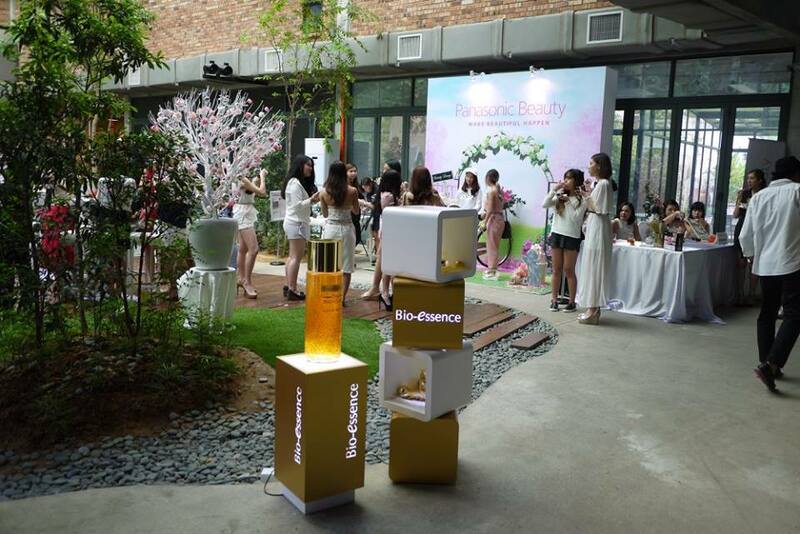 With cleaner skin, my pores are smaller and my skin texture is finer too. The device comes with a charger and a standee. It is easy to clean with water because it is waterproof. For RM 499, I think this is a wise investment for everyone to get clean, healthy and smooth skin as the skincare will absorb better. This device uses ionic power to allow moisturizing ingredients to deeply penetrate into the skin. A hair styling brush that is easy to use and creates airy large curls, resulting in beautiful volume for the hair. Thank you Panasonic Beauty for these innovative products and make beautiful happens to every one of us. Wow the product seem good to me. Does it helps to clear off the dead skin on our face? i feel like buying it. wow!! Just know about Panasonic have come out the new range for beauty!!! Would like to try it out!! 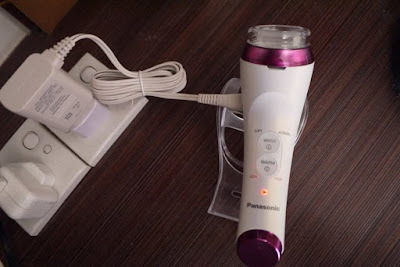 Looks like a great device for beauty. Getting one soon. Panasonic has good reputation. Glad to see that they are coming up with beauty tools as well. 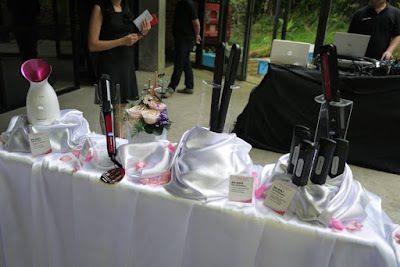 The device looks good but I have not try them yet. 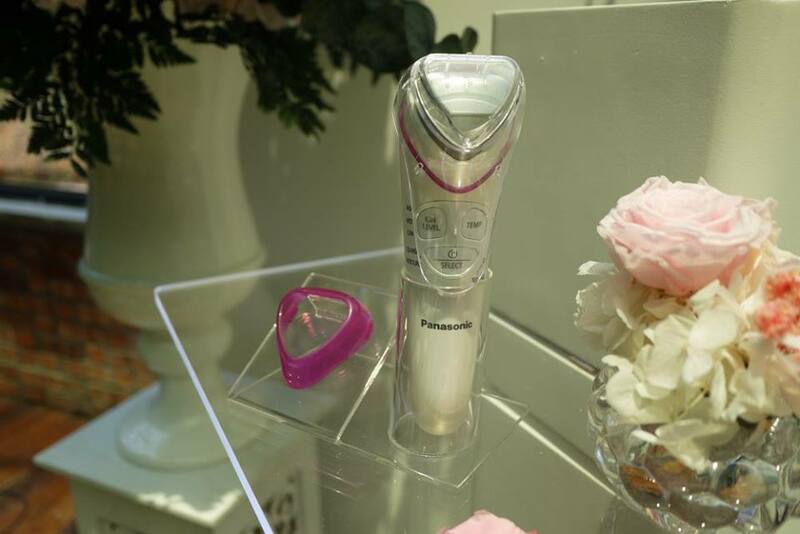 Panasonic got a few new beauty devices. 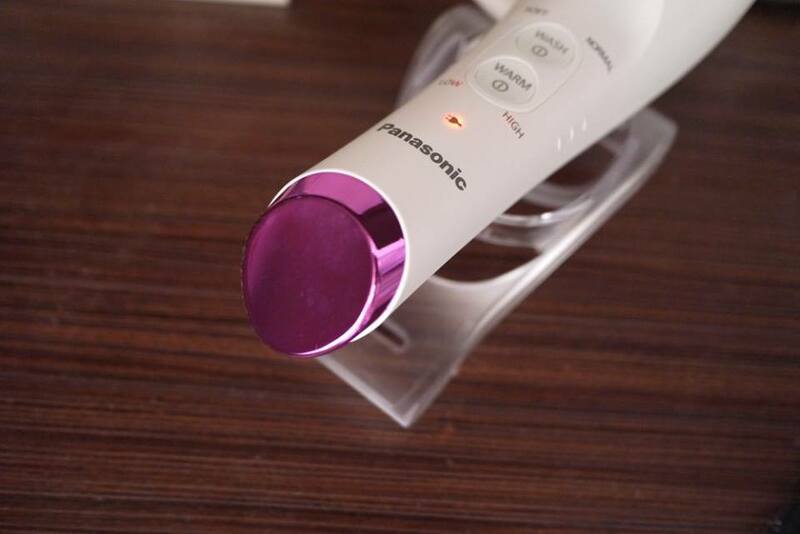 Panasonic always release such convenient beauty tools in the market! This helps us to deep cleanse our skin! Never try any Panasonic products! But this one is tempting!